4-Word Review: Life on the streets. It’s the 1930’s and Francis Phelan (Jack Nicholson) has been living on the streets for over two decades. At one time he was a promising baseball player with a bright future, but then he accidently dropped his infant son and killed him. Dealing with the guilt and shame of it turned him into an alcoholic who roams the cold streets of Albany, New York looking for odds jobs and handouts when he can. He seeks out his lover Helen (Meryl Streep) for companionship and the two share a bottle of booze and their bitterness at the world that is ambivalent to their desperate situation. The film is based on the novel of the same name by William Kennedy, who also wrote the screenplay and is directed by Hector Babenco who received wide claim for directing Pixote a film that dealt with homelessness in Brazil. This film is without question one of the best to tackle the lives of street people. Most films tend to treat the subject rather timidly and only analyze the topic from a distance (i.e. having a side character who is homeless, or maybe a main character who is temporarily on the streets), but this film engrosses the viewer completely into the homeless lifestyle while supplying absolutely no letup to their bleak existence. The result is a fascinating and revealing journey that shows how complex and multi-dimensional these people actually are while exposing every facet of the homeless experience including the indignities and dehumanization that they must face on a daily basis. The casting is interesting particularly for the fact that both Nicholson and Streep had just starred together in Heartburn a year earlier playing a couple on the completely opposite side of the socio-economic scale. I commend Nicholson for tackling a challenging role that goes completely against his persona as normally he plays flamboyant types with over-the-top personalities, so it’s great seeing him take on a humble one who feels and acts like a complete miniscule to the world around him. However, the scenes where he interacts with the ghostly visions of people he has murdered in the past does not come off as successfully as it could’ve. The imagery is interesting, but the fact that he had played a character already that dealt with similar types of ghostly visions in The Shining causes the viewer to think back too much to that film and takes them out of this one. Streep is outstanding and her constant ability to completely submerse herself into her characters and take on different accents with an amazing authenticity never ceases to amaze me. She really looks the part too by not only wearing no make-up, but having her teeth stained and darkened to effectively give off that decayed look. I’m genuinely floored at how many times most films neglect to do this. Actors portraying characters in destitute environments, or from the old west, may convey the down-and-out or rugged look physically, but their teeth still always look great when in reality they should’ve been in as bad of shape or worse as the rest of their bodies. The supporting cast is good but they have little to do, which includes Fred Gwynne who appears briefly as a bartender. Carroll Baker though is excellent as Nicholson’s ex-wife. She was a blonde beauty that burst onto the scene in the ‘50s and was billed as the next Marilyn Monroe, but her acting ability quickly became suspect and by the ‘60s she was relegated to low budget B-movies and European productions, but in the ‘80s she made a Hollywood comeback in supporting roles and her appearance here was clearly her best performance and proves that she really could act. Margaret Whitton is also a standout as she takes part in one of the film’s few lighthearted moments as an eccentric woman who is prone to histrionic fainting spells and walking outside without any clothes. 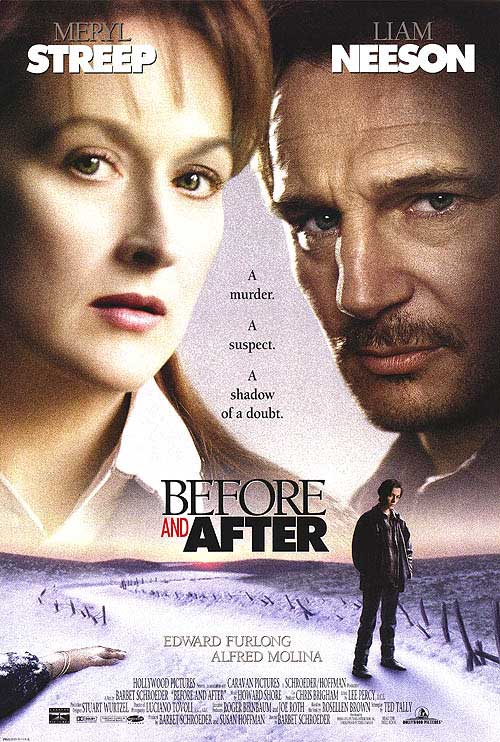 The film though does suffer from a few too many dramatic peaks, which includes having two of Nicholson’s homeless friends die almost simultaneously, which only helps to lessen the effect by squeezing out more drama than it needs to, but overall this is a top notch effort where every scene and utterance rings true.